Between 5-10% of women experience polycystic ovary syndrome (PCOS) at some point during their lives. This makes it the most common endocrine disorder affecting women today. Dr. Steven Brody offers comprehensive diagnosis and treatment for PCOS from his San Diego, California-based practice, the Infertility & Lifespan Medical Institute. If you are concerned about PCOS, call or schedule an appointment online today. PCOS stands for polycystic ovary syndrome. It is an endocrine disorder that affects millions of women. To explain it simply, women who have too many male hormones (testosterone and androgens) and not enough female hormones (estrogen) develop PCOS. This hormonal imbalance causes your ovaries to become enlarged and develop cysts, leading to a range of symptoms. PCOS is also the leading cause of infertility in women. When you have PCOS, your ovaries don’t release eggs normally, which reduces your chances of becoming pregnant. The exact cause of PCOS isn’t known, although many contributing factors have been identified. Your family history is important. If your mother or grandmother had PCOS, there is a higher chance that you will, too. Women with PCOS typically have excess insulin and higher levels of male hormones. There are also links to inflammation. When your body responds to a perceived threat, it floods your body with white blood cells to fight off disease-causing inflammation. If you have sustained PCOS your body responds with this immunologic response, causing a low-grade inflammation. Dr. Brody diagnoses PCOS with a physical exam and blood tests. He looks for physical signs of PCOS like excess body hair and the blood test should reveal if you have higher levels of androgens or insulin. He also listens carefully to your description of your symptoms. Dr. Brody provides customized treatment for PCOS to regulate your hormones, insulin levels, and inflammation. 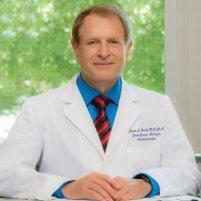 First, Dr. Brody supports you to make sustainable lifestyle changes to improve your diet. Regular exercise will help you to not only lose weight but also regulate your insulin production and use. You may find that cutting out refined sugars and processed foods helps you to feel better. Birth control pills can also help to regulate your hormones by reducing the levels of male hormones. This helps alleviate irregular and painful periods. Medications like Metformin, a drug used to treat type 2 diabetes, can help to regulate your blood sugar levels. You may also benefit from anti-androgen medications which may clear up acne and excessive body hair growth. If you have abnormal periods or are concerned about PCOS, call or make an appointment online today.